Here at North West Design Studios, we are a well recognised media agency in Bolton. We have a team of highly trained eCommerce web developers who provide unmatched website development services at competitive prices. We use highly advanced tools and a generous amount of our imagination to create websites. You are sure to love them and so are your customers. A website is the first impression of your business to the outside world. We ensure that you make a great one. 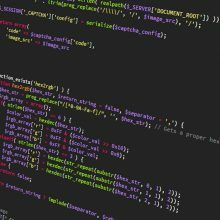 We utilise cutting-edge coding standards to ensure your website works quickly, reliably and across every platform. Our coding is compatible with mobile and tablet devices and is optimise for search engine results. Once we have created your site, the next set is to make it live. But before we make your website live, we do rigorous testing of our coding with a strict assessment of covering potential exploits, workload balancing, and compatibility. Testing your website ensures quality by finding and fixing bugs before the site goes live. And when all the testing has been completed and we know there are no problems, your site is ready to go! So creating a new eCommerce website sounds all well and good but to many people, it sounds like a very pricey expenditure, but there is no reason why good quality services should be costly. We know the value of hard-earned money. We provide the best – in – industry eCommerce Development in Bolton, Manchester at an affordable cost. You won’t have to rip a hole through your pocket. Our designers have 12 years of experience in the media field. They’ve worked in web studios, newspaper houses and IT companies. We know what works and what doesn’t. We understand how to go about a web development project so that it does what it is supposed to do, successfully. Do not go just by words. Contact us and we will get you the best eCommerce website design.